Today started with me waking up at a very unfortunate hour (4:11AM). I slept well, but I couldn’t fall back asleep knowing that I still had to spend some time narrowing down my science communication project on Coastal Optimism. So I showered really early, grabbed my laptop and headed to the cafeteria to get some work done. 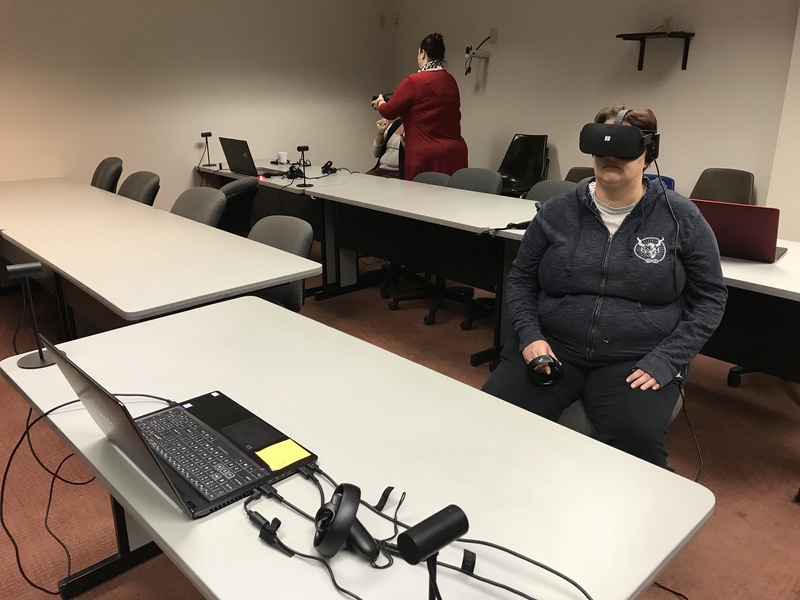 By 6:30AM, I was able to see some of the work by Dr. Heather Stone (Assistant Professor at UL Lafayette) in recording interviews with members of the Pointe-Au-Chien Indian Tribe and showcasing them in a VR-360 format (that’s me in the back corner getting my goggles on!). After breakfast, I headed out with a group for a Houma Navigation Channel Trip. The focus of the trip was on the theme of resilience. We started by heading up to see the Bubba Dove Flood Control Structure, which involves a barge that can swing across the channel and halt the progress of flood water during hurricanes. I had never heard or seen such a thing! Here’s an article that describes it more, here’s a link to an animation showing how it works, and below is a slideshow of my images from our boat. We continued up the bayou towards Houma (I think I’m using the term “bayou” correctly here – I still need some clarification on this one). 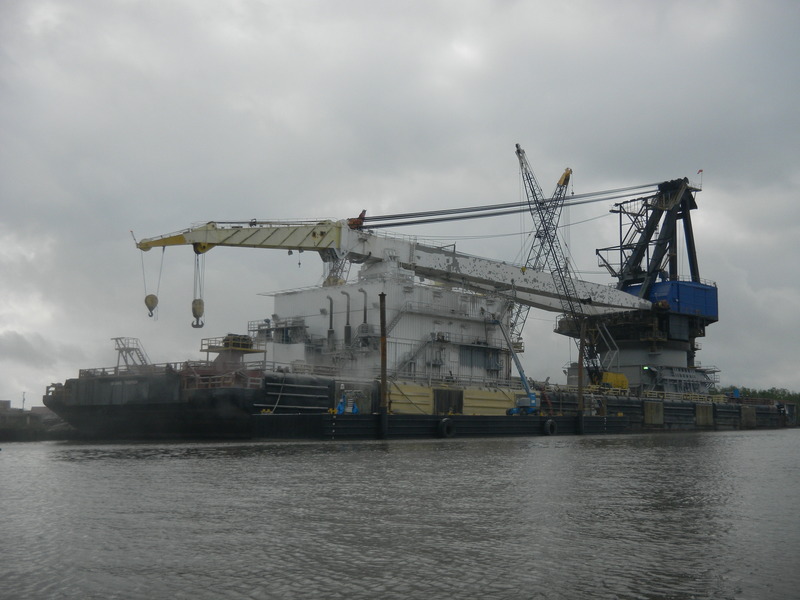 We first passed some work being completed on a floating barge being prepared to go out and serve as a platform for oil drilling. We then reached an area known as Four Points. Here, we were able to see the similarities between the new community of camps (summer/weekend fishing homes of people) and the older community. You will see the difference in the slideshow below. The older camps look like a random assortment of furniture, building material, etc. – and that is intentional. Some of the homes are built from salvaged material. Why spend alot of money on something that will be destroyed by the next major storm? The closed garage doors have boats behind them that have been lifted out of the water. I am really looking forward to getting back to campus and sharing my experience from this morning with my students. To be able to see the shear size of this flood control structure, as well as a smaller one in the channel, and exploring the decisions that went in to who is protected and who will not be should make for some great classroom discussion! We headed back to LUMCON for some grilled burgers and hot dogs for lunch – food always seems to taste better when you spend the morning out on the water!